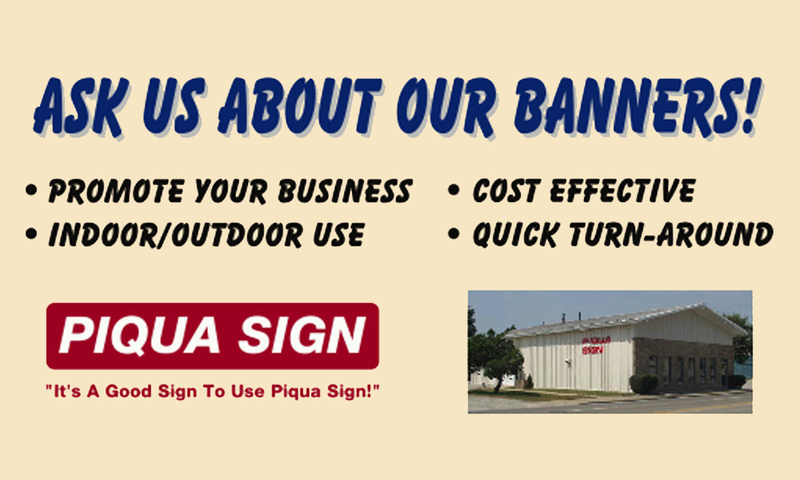 Promote events, open houses, political campaigns and businesses with durable and economical corrugated plastic yard signs. Perfect for restaurants, shopping centers, hotels, motels, hospitals and industrial plants. 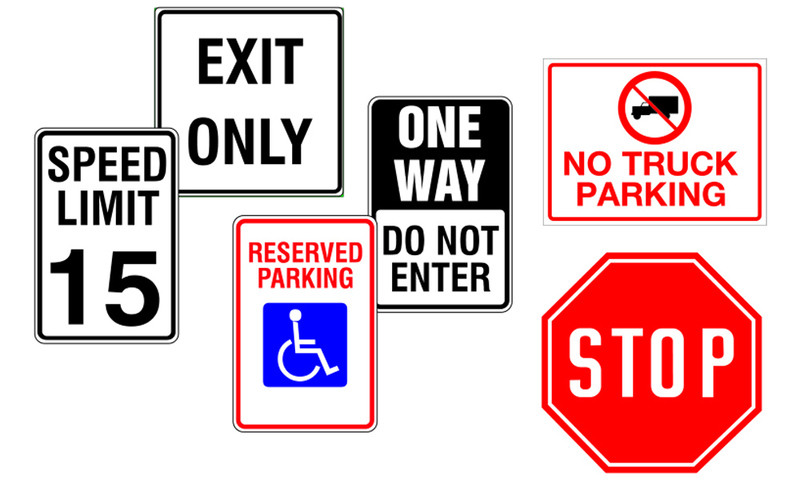 We manufacture high quality, durable traffic control signs. 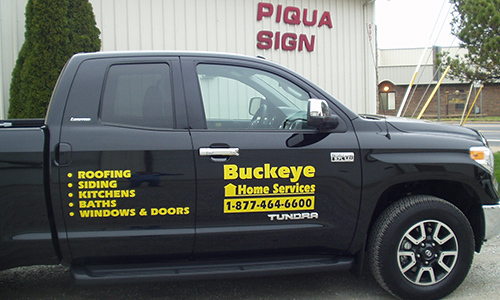 We offer standard products such as handicap parking signs or custom products designed to meet your need. 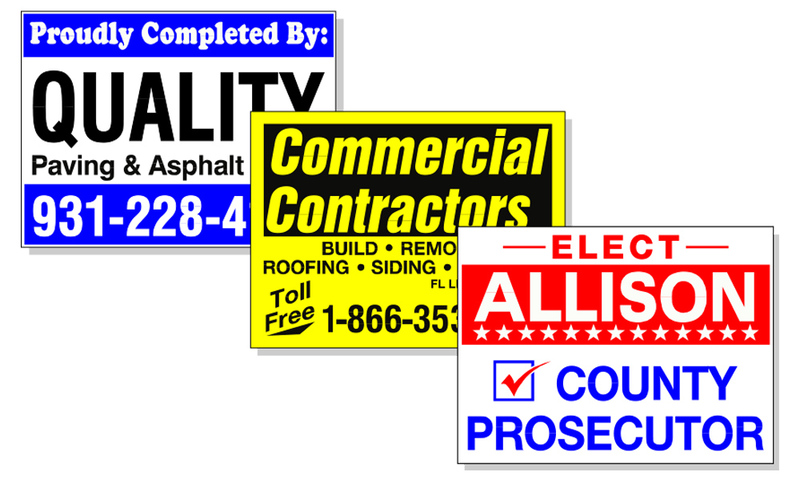 Advertise your company and products with high quality graphics. A very cost effective method of promoting your company. Manufactured from 13 oz scrim to your size requirement, your design or custom designed. For indoor or outdoor use. Great for trade shows, safety programs, retail promotion and available in and eye-catching graphics. Keep your dealership name in front of the public. 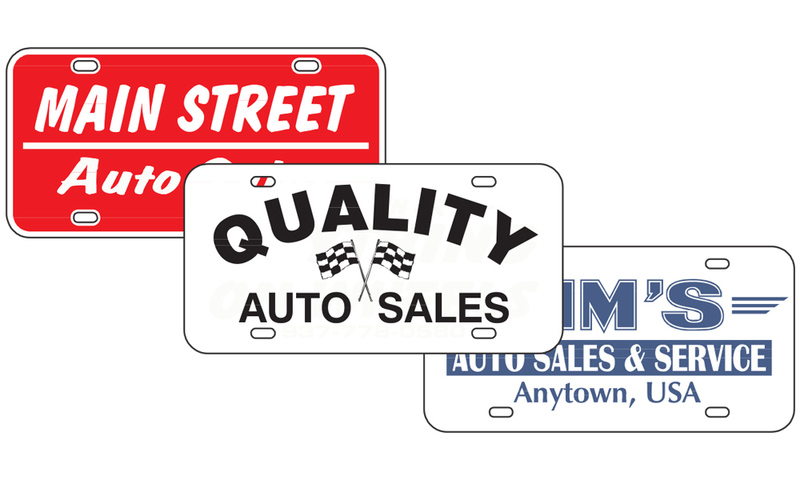 Large or small dealerships, we manufacture license plate inserts to your art or will assist in developing a design.